Morgan is a born and raised East Texan who grew up in Whitehouse, Texas. She attended Tyler Junior College and obtained an Associate of Arts. She also graduated from the University of Texas at Tyler with a Bachelors in Human Resource Development. She is married to Ben Roberson and they have one adorable son, Luke, who keeps them on their toes. 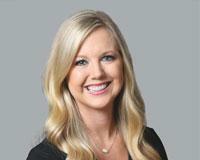 Morgan has grown up watching her mother, Judy, wheel and deal in the Real Estate World for the past 20 years. She has a unique perspective of what it takes to be a successful Realtor. Building relationships and keeping her clients in their comfort zone is key.